One of my favourite songs off The Re Up - "Freedom". 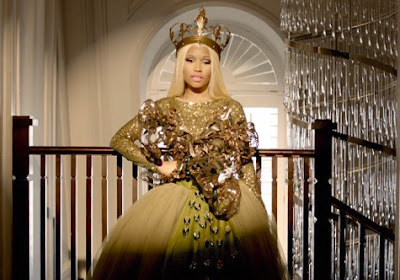 Nicki Minaj has released the video to her single "Freedom" where she talks about her success and how ungrateful some people are - shot by Colin Tilley, Ms Minaj stopped by 106&Park and said that she done the video in only 5 degrees. Another one of my favourite songs off the album "High School" featuring Lil Wayne. Listen as the Young Money King and Queen spit some fresh new bars on this track! Nicki Minaj "The Re-Up" is in stores and online worldwide today!